What A Coincidence! Nora Fatehi & Ex-Dilbar Angad Bedi Were Born On The Same Day! 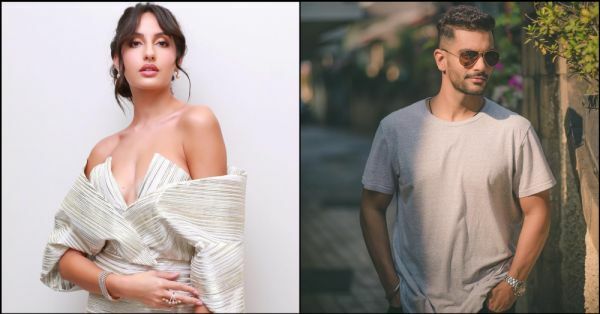 Nora Fatehi and Angad Bedi were a thing about three years ago and much like all the other celebrities, they denied dating each other. 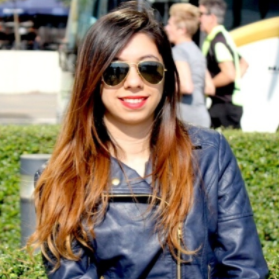 Reportedly, the couple met in Goa in 2015 and hit it off immediately. They were even seen cosying up at cricketer Yuvraj Singh and Hazel Keech's wedding functions. But the two called it quits due to Angad's closeness to now-wife Neha Dhupia. Things got extremely awkward between the former flames when Angad and Neha suddenly announced their wedding. In an interaction with the media, on being asked about whether she's congratulated the newlyweds, Nora said, "Who is Angad? I don’t even know who Angad Bedi is. I never dated him, so I don’t know what you’re talking about. I have nothing to say about his wedding since I’ve never met him and I don’t care what’s happening in his married life." So typical of exes, is it? Interestingly, exes Angad and Nora share the same birthday. And yes, it is today! What a coincidence, right? Nora took to her Instagram stories to share some videos of her birthday celebration. She donned a satin pink dress with shimmery silver stilettos and looked gorgeous as ever. The party saw the presence of close friends and actor Varun Dhawan too made it. Angad Bedi rang in his birthday with lovely wife Neha Dhupia in Goa. She got him a cake and the two had an intimate celebration. We wish both the celebs a very happy birthday!